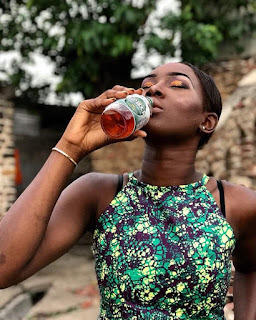 Home Fashion and Lifestyle Ghana: Ex-Queen, Kayla Afia gets endorsed by Redrock Ginger Ale. Ghana: Ex-Queen, Kayla Afia gets endorsed by Redrock Ginger Ale. Ex-Queen of Africa Globe (2017), Kayla Afia Mofunma bags endorsement with healthy drink brand, Redrock Ginger Ale. Queen Kayla took to social media expressing her joy. REDROCk Ginger Ale is a pure sugar cane herbal energy drink from Atlanta, Georgia. It's production started in 1885.